Is it just us or is Daylight Saving Time really messing with the week? If you've found yourself slogging around in what now feels like perpetual darkness, you're not alone. Our advice: embrace the darkness and get back to the basement where everything makes sense. 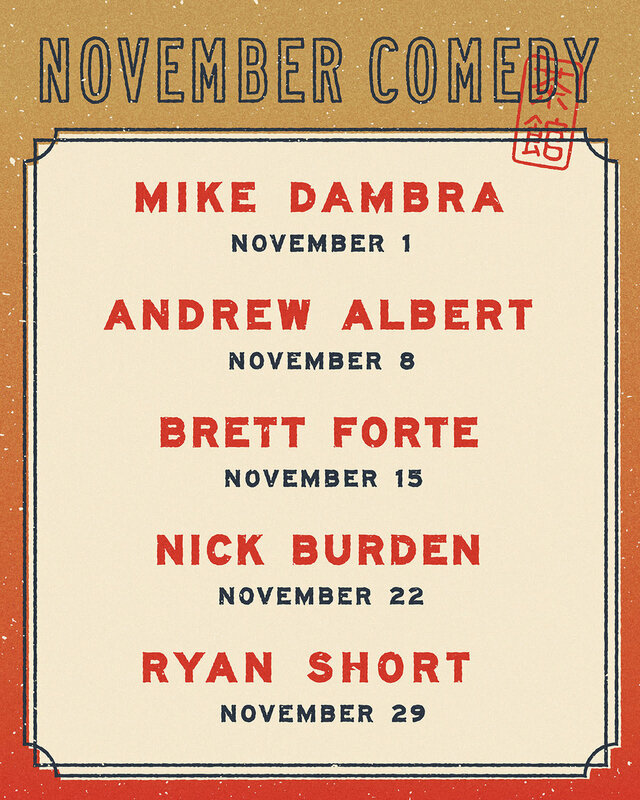 Tomorrow night (November 8th) we've got local comedian Andrew Albert in the Tea House for Thursday night comedy. Get your cheap drinks and eats before the show during Bao Down Happy Hour. Alternatively, stay after the show and sample some of the classics like the Saskatoon Fruité, or something new like the Spray Tan 2.0 -– just what you need this time of year.